The Blue Mountains International Hotel Management School in Australia offers fast-tracked business degrees with two Bachelor of Business programs and one Master degree, at its Leura and central Sydney campuses. Asia Pacific’s and Australia’s highest ranked hotel management school (TNS Survey 2010) offering undergraduate and postgraduate business degrees in hospitality or event management. Benefit from studying with students from around the world across two inspiring campuses – Leura in the Blue Mountains and central Sydney. We offer a fully accredited Bachelor of Business program, with two paid industry placements, which has students graduating in only 2.5 years. Our Master of International Hotel Management, over two years, is the only program of its type offered in Sydney city. The Aborginal Education Centre at the University of Ballarat provides current and prospective Aboriginal and Torres Strait Islander students with educational and community support. Trained staff are available to provide policy advice relating to Aboriginal and Torres Strait Islander matters and can provide assistance with tutorial finance, accommodation and child care support. Study, computer and student lounges are also available for students to access at our Mt Helen, SMB and Horsham campuses. The Illawarra Institute�s Aboriginal Education and Training Unit provides opportunities to improve educational outcomes and employment prospects for Aboriginal communities. We can offer advice about courses, support Aboriginal people throughout their educational experience and liaise with local communities on their needs and requirements. TAFE NSW - Illawarra Institute is also an official Panel Member of Experts and provides consultancy and training services to the Department of Immigration, Multicultural and Indigenous Affairs in a range of fields relevant to the Australian Government�s new Indigenous affairs arrangements. Aboriginal Co-coordinators are based at the following locations; Moruya Ph: 4474 1800, Nowra Ph: 02 4421 4491 and Wollongong Ph: 4229 0142. For more details you can contact Dapto Campus Ph: 02 4221 8908. The Aboriginal Education Program (AEP) provides an admissions scheme for all undergraduate courses at University of New South Wales for Aboriginal and Torres Strait Islander people. The (AEP) also works with Indigenous communities through the community contact program to encourage Indigenous people to pursue their education goals and increase their knowledge about opportunities at University. *Provide courses which are culturally appropriate for ATSI people. *Provide funding and give support to all areas of these courses. *Promote access for ATSI people to further educational and vocational training. The aim of the unit is to manage, coordinate and promote Aboriginal education and training throughout the Institute. Also to provide a strategic planning focus for Aboriginal programs. 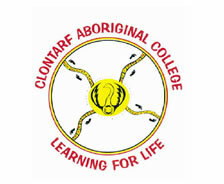 Clontarf Aboriginal College, in the Edmund Rice tradition, is one of four ‘CARE’ (Curriculum and Re-Engagement in Education) schools in the Catholic system in WA. The College offers a range of educational programs providing varied learning opportunities for students from Year 7 to Year 12. We have a proud tradition of cultural, spiritual, academic, and sporting excellence. 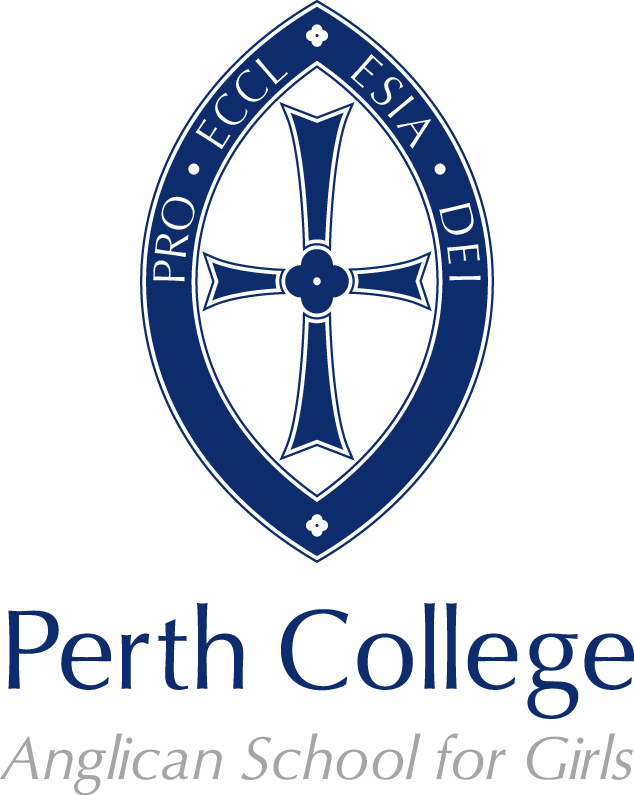 The College is co-educational and currently has places for approximately 180 students from years 7 to 12. Over 100 of these students are Boarders. Our demographic makeup is varied, consisting of Aboriginal students from across the state from many communities, including those that are remote. We have an increased number of metropolitan students. Catering for diversity is a priority at the College. A variety of opportunities are experienced by the students, not just through the classroom program, but through the Football and Girls Academies also. The College is well resourced and has a strong emphasis on Literacy and Numeracy, as well as English and Mathematics. A Tertiary Entrance Class is available for those students requiring a pathway of further study. Our Trade Training Centre has enabled the College to deliver Certificates in Trades as well as Vocational Education Training. To enable students to become independent we offer the ‘Keys for Life’ program. Every student has the opportunity to gain their drivers licence. We employ the Driving Instructors and we have the cars on site. Trained staff members deliver the program. Students who elect to do Outdoor Education can also obtain their Skippers ticket, Bronze Medallion and Senior First Aid Certificate. The Mount Isa Centre for Rural and Remote Health is a "participating universities centre for population health, education and research". The Centre was initially setup to operate within Queensland Health under contract to the Commonwealth Department of Health and Aged Care, University Departments of Rural Health (UDRH) program. In January 2001 the MICRRH became incorporated into James Cook University. The Centre has five main objectives. Promote professional education and training in rural and remote health with a specific emphasis on professional education and training of Indigenous persons. Recruitment and retention of health professions in rural and remote areas. Development of effective means of rural and remote health delivery. Develop a population and public health focus. Participation by Indigenous people in population health. Griffith University’s GUMURRII Centre administers one of Australia’s most successful equity programs for Indigenous Australian Peoples. In the pursuit of academic excellence the GUMURRII Centre performs and facilitates numerous activities in relation to research, teaching, student support and community work. The Centre is committed to working with Elders and the community to strengthen the recognition of Aboriginal and Torres Strait Islander cultures and histories across the University, in Government and across the broader community. The GUMURRII Unit can help you decide what study options are best suited to you and help finalise your enrolment details. Subject to eligibility, Unit staff can organise personal tutoring, help you apply for grants and scholarships and assist students with a smooth transition into Griffith University. At Our Lady of Fatima, each person involved in Catholic Education is called to renew continually their Faith Vision in accordance with the Word of God and the Church’s teachings. We strive to develop a Faith Community with Christian atmosphere in which all members share in the Gospel values of trust, openness, caring joy, hope and love. 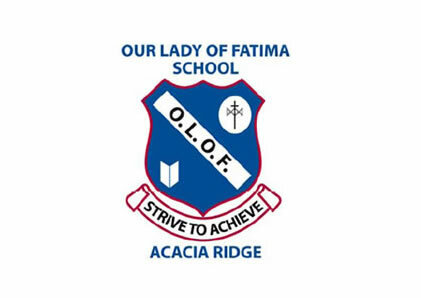 The Our Lady of Fatima community emphasizes an educational perspective that encourages the students to develop towards their potential within our caring environment. We are very proud of our school and its surroundings, as they create a pleasant learning environment. We have great students, fantastic parents and excellent caring staff members, tons of playing areas for students, plenty of classroom space and loads of enthusiasm and good will! Performance Education specialises in Professional Business English, General English, IELTS Test Preparation and Professional Year programs for the overseas born professionals and international students studying and working in Australia. Our courses are offered to individuals and corporations and are designed to improve the student's English language skills specifically within a business context. Our courses have been developed using the expertise and real world experience of language teachers, business managers and career management experts. Our students are like minded business professionals. They recognise that great communication skills will be the cornerstone of their career success in Australia. Tuition is practical, interactive and demanding. It is designed to ensure that participants develop rapidly and gain all the skills and knowledge needed to kick start their careers. Gnibi College of Indigenous Australian Peoples is an Indigenous education and research Centre of Excellence which builds understanding between all peoples, promotes cultural diversity by raising awareness to and insight to ancient and modern wisdoms through ganŋa, thereby forging shared Dreamings. Committed to delivering culturally safe, dynamic and innovative Indigenous studies courses for all people. Our aim is to facilitate and support students to experience a teaching and learning process that is founded on principles of social justice, cultural integrity, inclusion and healing through education. Gnibi is responsible for Indigenous research, academic programs, delivery of support services to Indigenous students and professional and community based training programs. Courses available: Foundation Program; Bachelor of Indigenous Studies; Bachelor of Indigenous Studies (Hons); Bachelor of Indigenous Studies (Trauma & Healing); Master of Indigenous Studies; Doctor of Indigenous Philosophies. Professional and Community Based Training: We Al-li Indigenous Therapies. Ganŋa � Bundjalung to hear; to think; to know; to understand. The Yaama Dhiyaan Training Centre specialises in training unemployed Indigenous and non-Indigenous people who want a career in the hospitality industry. Students work towards a Certificate II in Hospitality Operations. This is a nationally recognised qualification. The Certificate exposes participants to the front of house in hospitality (taking reservations, table settings, serving customers) and food preparation in the kitchen. Additionally, all students learn advanced barista skills (coffee making) and gain a certificate in Responsible Service of Alcohol and Responsible Conduct of Gaming, which allows them to work in licensed premises. During the course, students gain valuable work experience at the functions and events catered by Yaama Dhiyaan. TAFE Western is committed to fostering social and economic development by providing innovative and relevant training aligned to job opportunities and community needs. TAFE NSW Western Institute is a Registered Training Organisation (RTO) which manages 24 colleges and more than 34,000 student enrolments each year. More than 500 courses are offered and a flexible approach to delivery incorporates recognition for prior learning, online and distance learning, workplace delivery and assessment. In meeting its mission TAFE Western services an area covering more than half of New South Wales, taking in the Central West, North Western and Far West regions, including some of the most isolated and remote communities in Australia. An advanced communication network unites the region with electronic file sharing, Internet communication and video conferencing. TAFE Western focuses on the important geographic, economic and social attributes of its region and is achieving real employment outcomes for a changing and diverse community, supporting economic development and ensuring all segments of the community have the opportunity to participate in education and training. TAFE Western has a well earned reputation for delivering innovative and hands-on training that meets national standards and industry expectations. Batchelor Institute is a national leader in providing tertiary education to Aboriginal and Torres Strait Islander people across Australia. Batchelor Institute offers �both-ways� Higher Education to Master's Level and Vocational Education and Training courses which explore Indigenous traditions of knowledge and western academic disciplinary positions and cultural contexts. The Centre for Aboriginal Studies provides students with the skills and abilities they need to work in the community and actively promotes a positive sense of Aboriginal identity, culture and heritage. Courses cover indigenous health, community management and development, Indigenous Australian studies and indigenous media production - all designed to provide culturally appropriate education and to create new ways of learning and working in an inclusive Australia. The Centre offers courses for Indigenous Australian, Torres Strait Islander and non-indigenous people. The Centre for Aboriginal Studies aspires to contribute to positive social change for Indigenous Australians through higher education and research. One of the main reasons for the success of the Centre for Aboriginal Studies is that Aboriginal people have a place on campus which holds for them a sense of belonging, autonomy and strength. Aboriginal students have a base on campus that encourages them to be in control of their own learning, that provides support services structured in a way to empower them. In this sense, the design of the Centre and its operations function as a model of Aboriginal self-determination. The Centre is an attractive place with a feeling of open space and light; where wood and stone and ochre tones are combined within the circular central area in a building based on curved lines distinctly different from most of the other buildings on the campus. The design complements the friendly and informal atmosphere created by the staff to create a space where Aboriginal people can feel a sense of belonging. Most of the materials used in this building come from natural resources. The clay-tile roof of most of the building contrasts with a steeply pitched metal roof in the central foyer. The foyer features timber building materials throughout. The circular shape of the building reinforces the meaning and function of the Centre. 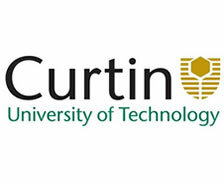 It is also reflected in the Centre's logo - a lizard curled around in a circular shape.